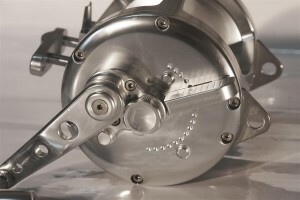 The VJ 8 Light has the unique feature of the clutch lever with a run of about 270 ° instead of 180 ° as traditional reels. 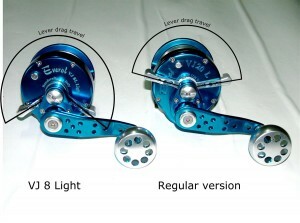 A powerful two-speed series of reels designed to tame the largest of gamefish. These reels shift effortlessly between the high (3:1) and low (1.6:1) gears even under the most extreme conditions. The Everol Two-Speed reels feature a gearbox with stainless steel gears. To provide the highest performance, they are assembled on seven double shielded stainless steel ball bearings and two self lubricating bearings.